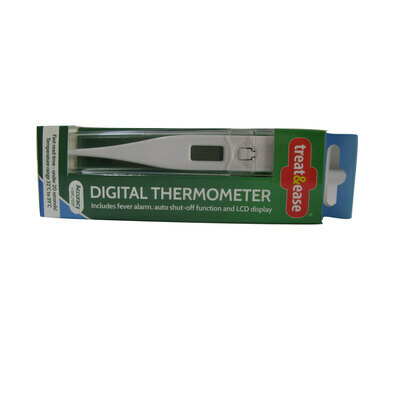 Keep track of your patient's body temperatures for accurate care with our Digital Thermometer. Made from a durable, wipe clean plastic, this fast response appliance has a clearly legible digital screen with a 0.1 degree accuracy for heightened confidence. An alarm signal tells you when the body temperature has reached fever degree, allowing for quick and efficient results while the auto shut-off function prolongs the batteries life. Wipe clean plastic case is easy to sanitise. If you're looking for something slightly different, our Medical Thermometers category has a wide variety of options.